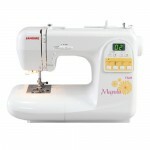 Janome is a well-loved sewing machine brand with a range of sewing machines to suit home sewers of all different skill levels. 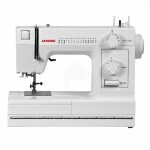 Janome sewing machines include basic mechanical sewing machines suitable for home sewers who only need limited features for basic sewing and alterations. 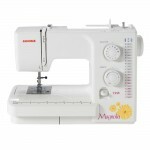 Janome also has a range of domestic machines with all the best features for beginner sewers and solid, high-quality models with more decorative features for competent sewers. 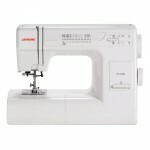 Janome also prides itself on making computerised sewing machines available to the home sewing market, so they have an extensive range of machines for quilting and embroidery. 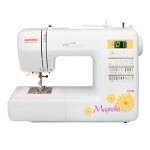 Janome also creates the Hello Kitty branded sewing machines that are a popular choice for Hello Kitty fans and which are an approachable option for children who are learning to sew. 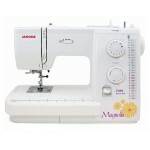 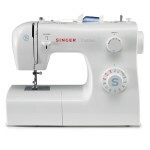 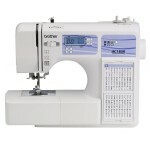 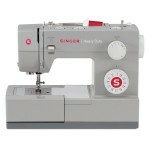 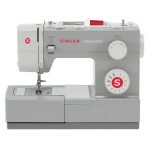 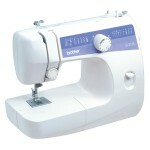 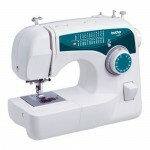 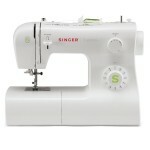 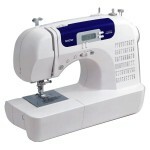 For home sewing machines, Janome consistently rates as one of the most popular and best-selling brands on Amazon.com. 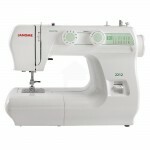 The Japanese word Janome (pronounced Ja-NO-me) means “eye of the snake” and this is a reference to the brand’s pioneering use of round metal bobbins in the 1920s.